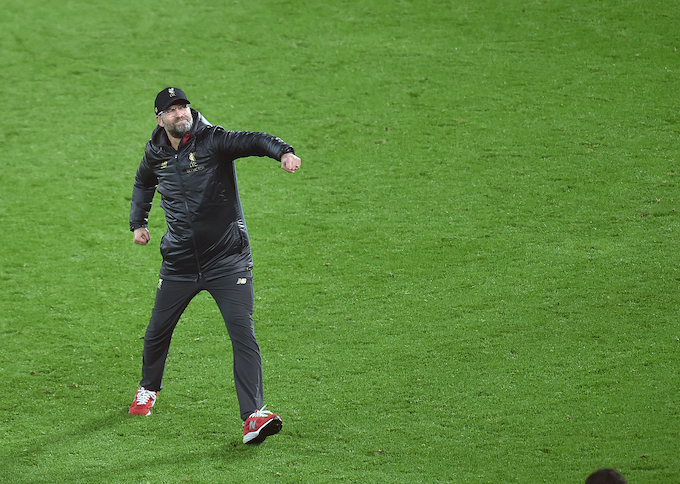 Jürgen Klopp is, without a doubt, one of the most iconic and charismatic football managers of recent years with his infamous reign on Anfield’s touchline guiding Liverpool to the top of the Premier League and the club’s most serious title challenge since 2013/14. 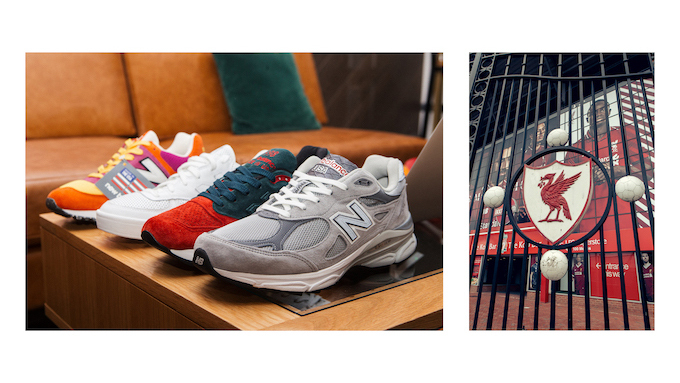 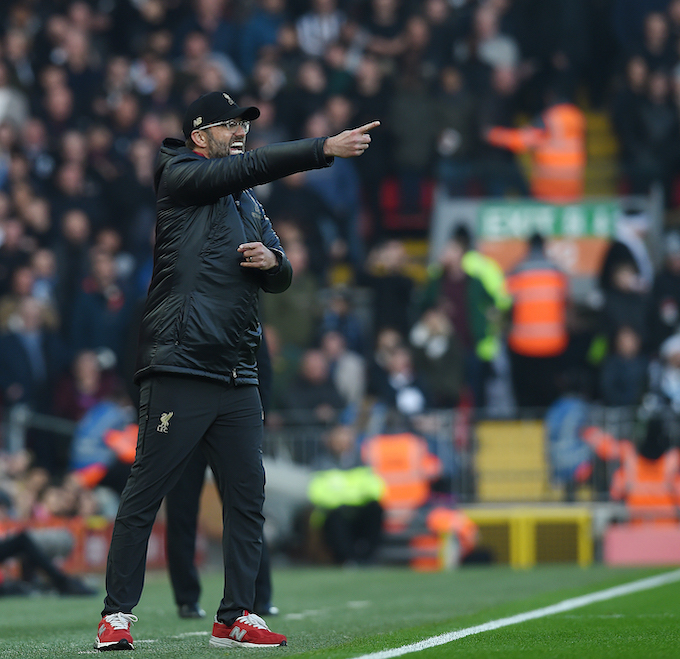 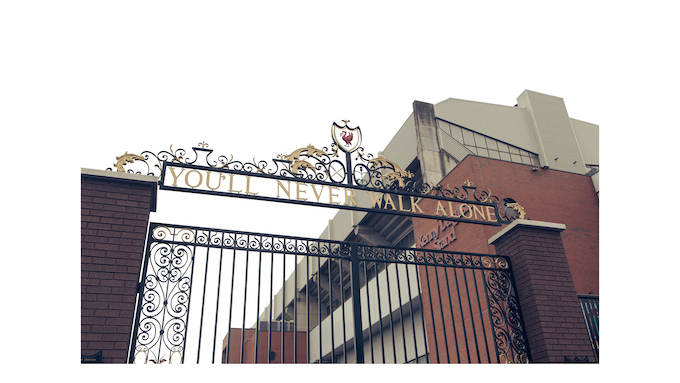 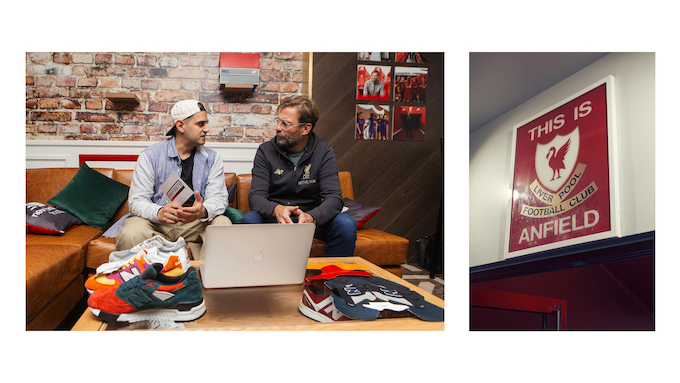 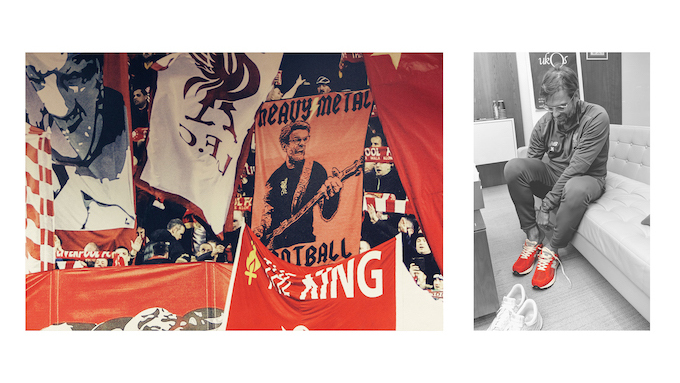 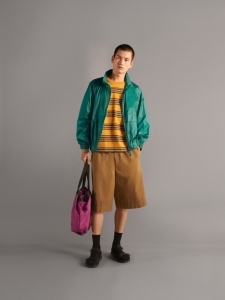 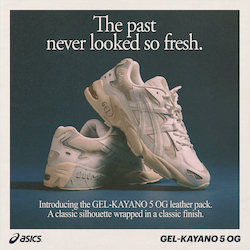 We linked up with Klopp and kit sponsors New Balance at the Kop for an in-depth chat about trainers and style, expressing that his hectic schedule often means he has little time to think about what he wears on the pitchside, but that comfort is always important. 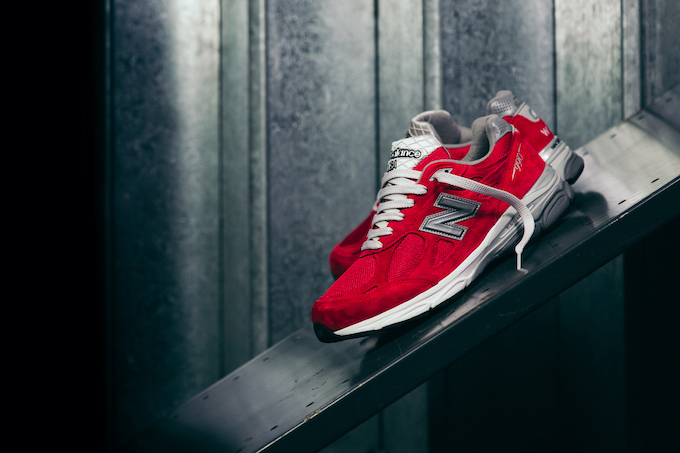 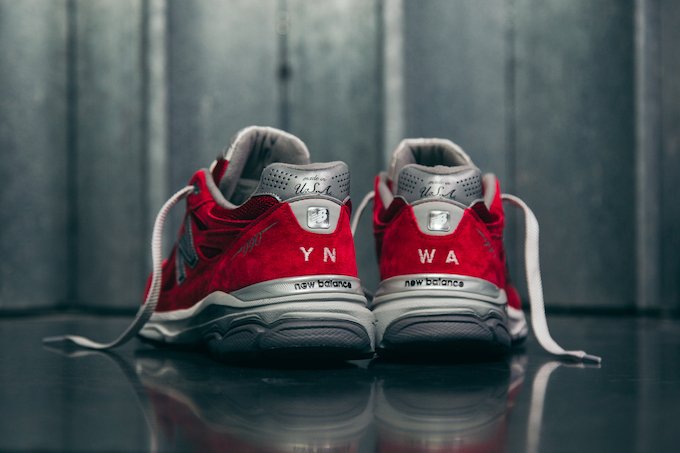 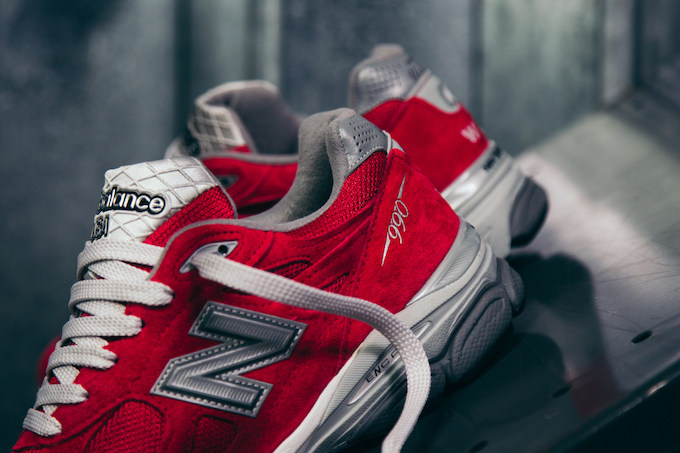 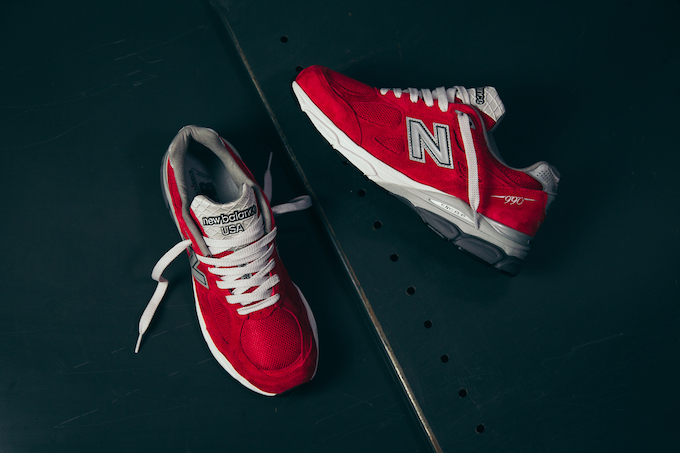 The conversation culminated in a customisation session on the NB1 platform, where he created his very own matchday ready 990V3 alongside The Drop Date; which mirrored the team’s colours with a red suede upper and white detailing with abbreviations of the club’s anthem and motto, “You”ll Never Walk Alone”, embroidered on the back heel for a personal touch. 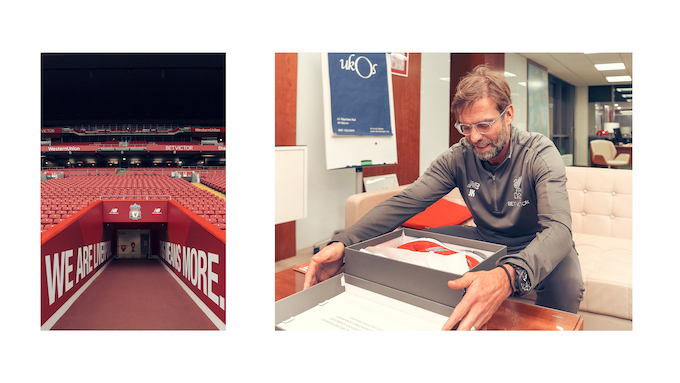 Klopp fans can pick up this pre-configured design on NB1 now, as well as designing custom versions utilising a range of colour palettes and bespoke text. 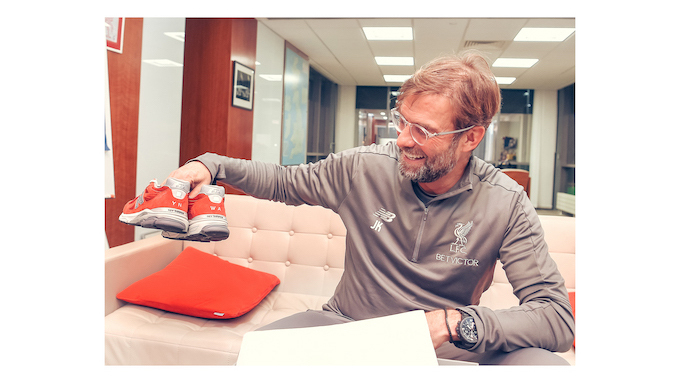 The NEW BALANCE NB1 X JÜRGEN KLOPP 990V3 is AVAILABLE NOW: check out our video with Jürgen and then head over to NB1 via the banner below to start customising your very own pair today.